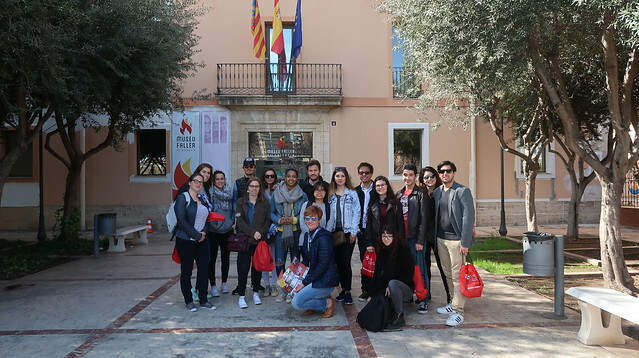 The day began with a visit of the Fallero ‘s museum where a tourist guide explained us the historical and cultural wealth of this specific event in Valencia. 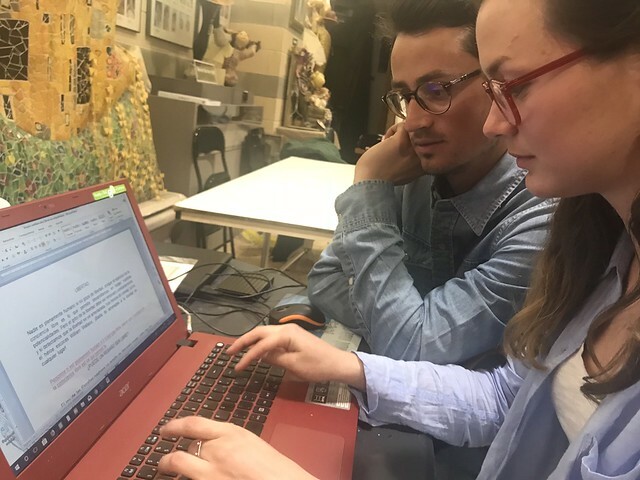 Fallas are actually monuments made up of ninots (caricature pieces) created by local artists and craftspeople that provides a commentary on current social issues. On the last day of the celebration, Fallas are rittualy burned in a spirit of rejuvenation. It’s a way to welcome the spring. We were all very amazed to see all this “Ninots” which are the famous sculptures made of papier-mâché of Fallas. It was so beautiful! Later on we went to Na Jordana, which is one of the most famous Fallas association of Special section. On our way between the museum and the neighborhood of Na Jordana we had the opportunity to see some fallas under construction. 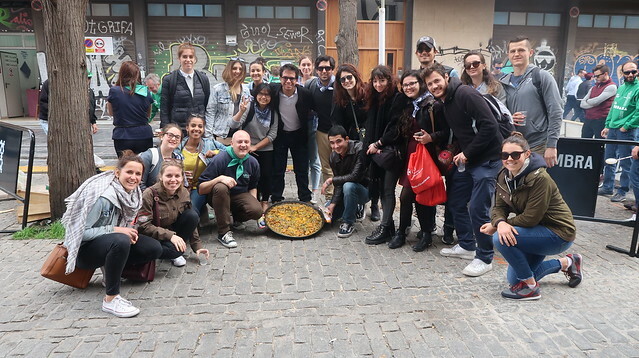 We were so happy to arrive to Na Jordana where we learnt how to cook a delicious paella valenciana. And finally, the best moment of the day came: we were warm welcomed to enter in “la casa de los falleros’’ (the Casal) to share a meal with all of them. 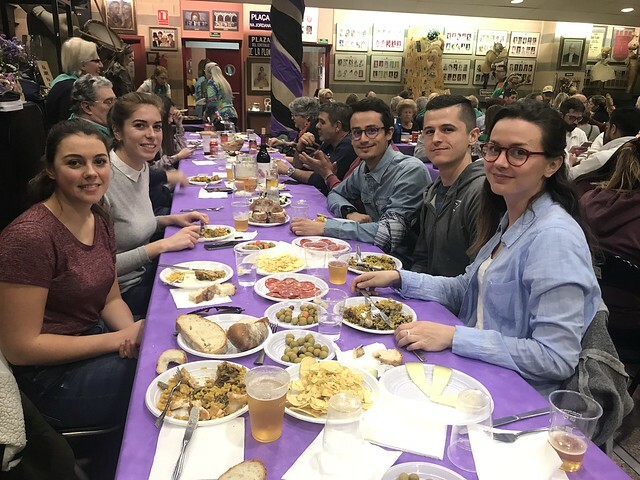 During the meal, we even had the chance to help the falleros with the translation into French of some panels of their falla. So this year, Falla Na Jornada has also “something” of us, the international CEU students. What a pleasure to contribute on this artistic monument! With no doubt, we had a unique opportunity to live a special and exclusive Valencian moment thanks to the university! See you on the next activity of the program! Do you want to see more picture from this day? Click here.